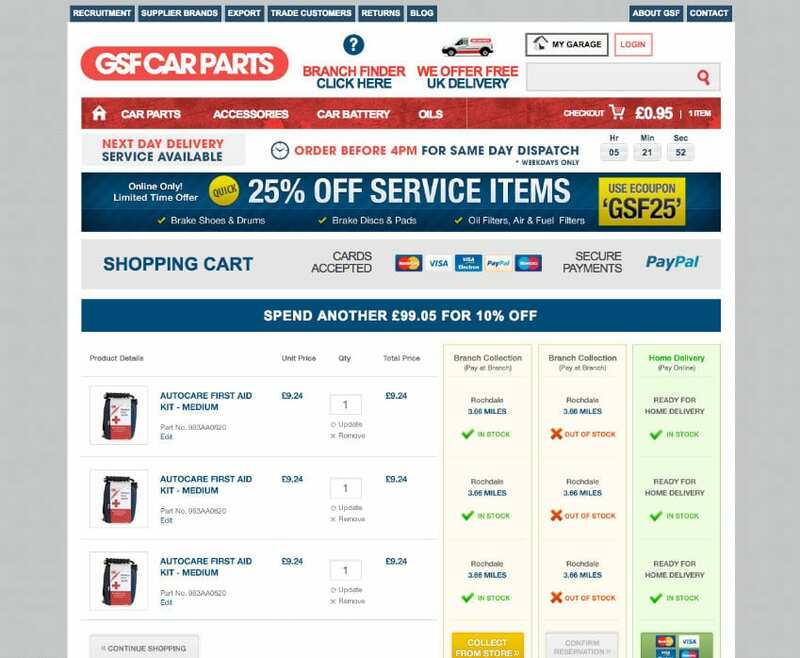 GSF Car Parts needed a site that allowed people to find the right parts for their car with the minimum of fuss. 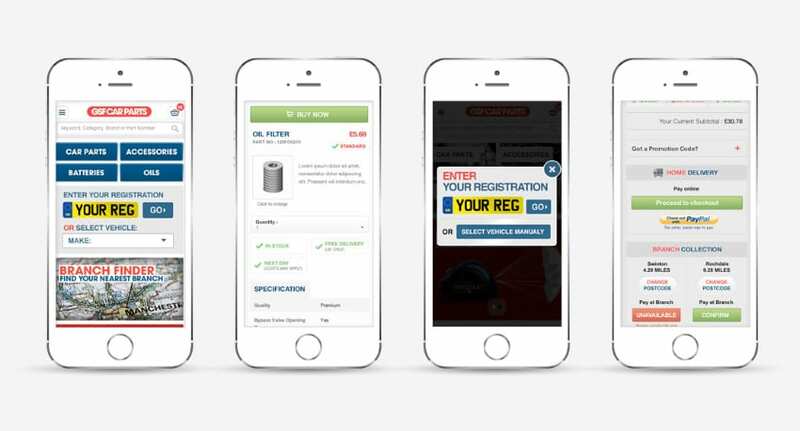 smartebusiness delivered a new website that has seen online revenue tripple since go live ' gains continue to rise. 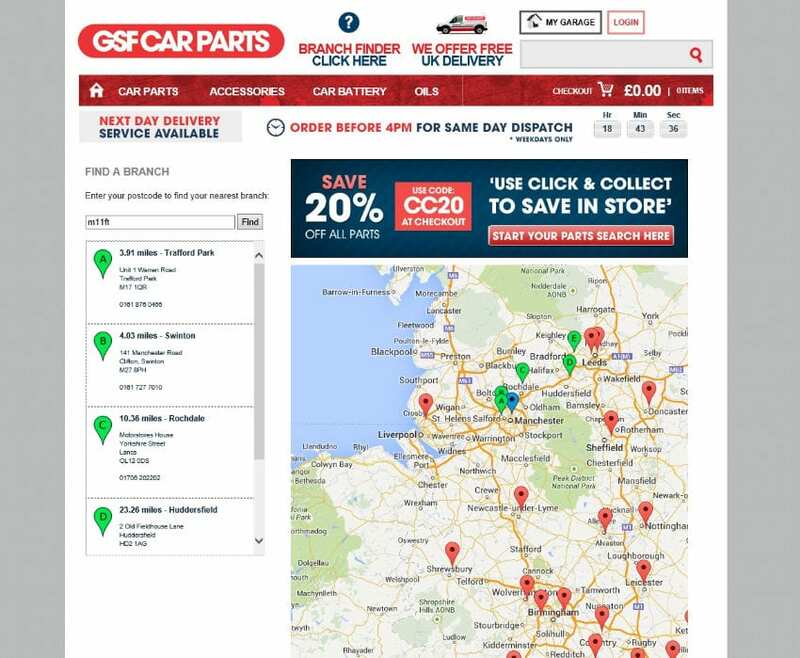 Success comes from mapping the customer journeys for service parts, spontaneous buyers and repeat purchases – with each use case the site navigation and flow reduces friction and increases the conversion rate of the customer. We started working with Smartebusiness at the beginning of 2012. 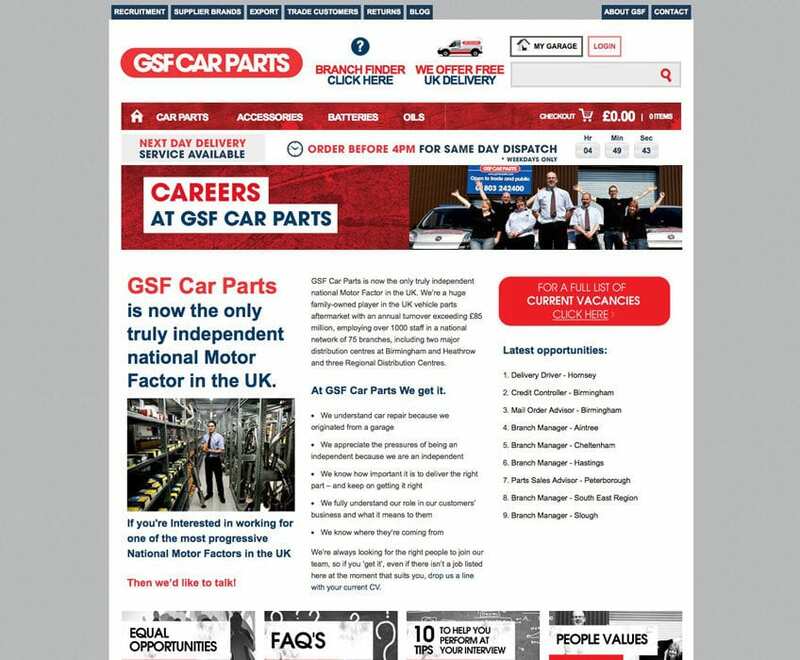 The site immediately started to produce significantly increased sales. 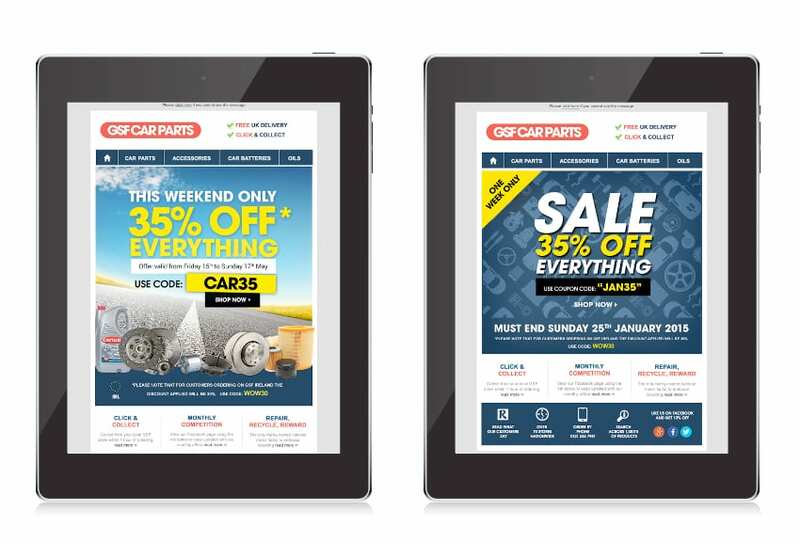 Since launch we have spent a considerable amount of time working to optimise the site on a number of levels – the key being to increase the conversion rate (sales vs visitors), average order value and number of site visits.